Wylfa nuclear power station will not have its operating life extended beyond 2010, the Nuclear Decommissioning Authority (NDA) has announced. The station is one of the major employers on Anglesey, along with the metal smelting plant Anglesey Aluminium in Holyhead which it powers. 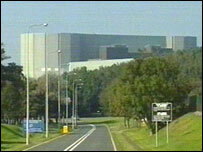 There are fears for 1,500 jobs if both close but council leaders hope a new nuclear plant will be built. The assembly government said it was "disappointed" by the NDA's decision. The NDA estimated it would cost up to £250m for Wylfa to continue operating. Earlier on Thursday, MPs on the Welsh affairs select committee added their voices to calls for a new plant to be built on the island. They said in a report if any new nuclear power stations were to be built - as has been mooted by the UK government in its recent energy review - Anglesey would be an obvious location. The NDA said in a statement that major improvements would be needed on the reactors at Wylfa and the safety cases would need to be revised, at a cost between £70m-£100m, for it to continue operating. It also estimated losses of around £250m when all costs including reprocessing were set against revenue from extending its life. Bill Hamilton, from the NDA, told BBC Wales it was "simply totally uneconomic" to extend the plant's life for a further two or four years as had been proposed. "It would make a multi-million pound loss to the exchequer and ultimately that would be to the taxpayer," he said. "We recognise that we have a socio-economic responsibility to look at the implications of any decisions that we make about the nuclear plants on the communities which they currently live in. "We have been talking a lot with Anglesey Aluminium and the company management have recognised that sheer hard facts for us as the Nuclear Decommissioning Agency." However, he said they were still looking to prolong the station's life from March 2010 until December 2010, and said decommissioning did not mean the end of jobs at the plant on day one. "The decision may well lead to some more job opportunities [through decommissioning]," he added. 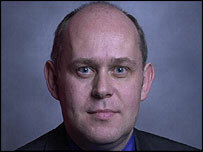 Ynys Mon MP Albert Owen said his reaction was one of "disappointment". "This was one of the opportunities of getting a steady, economical supply of electricity to Anglesey Aluminium for the future past 2010," he told BBC Wales. "What's changed since the first announcement to shut Wylfa was made in 2000 is the price of alternative electricity generation. "We have been looking at whether to go for gas or biomass on the island so everybody's working together. "These are difficult times, that's why we have had an energy review. Costs have gone up recently - oil had doubled in price, gas has gone up. We have got to look at these and make some massive decisions on the future." He welcomed the decision by the select committee to support Anglesey as a potentially ideal site for a new nuclear power station, calling it a "major step forward". The assembly government said it was disappointed that no way could be found to extend the plant's life beyond 2010. "We have worked very hard to ensure all available avenues were explored in attempting to extend Wylfa's operating life, which included asking the NDA to look into a number of alternative businesses cases," a spokesman added. "Keeping Wylfa open would cost... more than £250m"